"The real independent and not for profit voice in Westminster for 37m UK drivers "
Help to support FairFuelUK Campaign's fight on your behalf to get Westminster to listen to common sense. FairFuelUK is managed by a small and highly committed team of people lead by popular Motoring Journalist and TV Broadcaster Quentin Willson and the Campaign's Founder Howard Cox. They campaign tirelessly to reduce the price of all vehicle fuels for 37m road users and for the benefit of the UK economy. Its funding is based on support from key backers the FTA, RHA and any regular donations from supporters and those businesses who so depend on fuel to run their operations. To get the Government to reduce fuel duty in future Treasury Budgets and for debating fairer taxation levels for all UK road users the FairFuelUK campaign needs to be financed at the best possible level. And that's why we need your support and, if you can, help with funding too. Monthly Donation - Ideal way for businesses who wish to support FairFuelUK where fuel is a significant operational cost. Add a message in the box and we will reply too. We are a public affairs team with no shareholders to satisfy, just an award winning campaign representing the real concerns of hard working motorists, families, small businesses, commercial drivers and hauliers across the UK. Decades of fiscal exploitation by successive Governments with little in return warrants the need for FairFuelUK. FairFuelUK is managed by popular TV Motoring Journalist Quentin Willson and the Campaign's Founder Howard Cox. 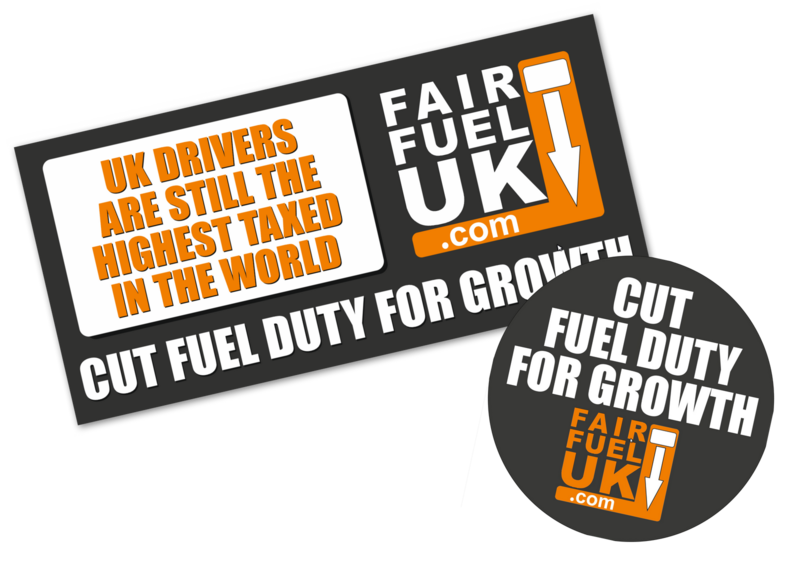 Since 2010 FairFuelUK has saved drivers over £100bn in planned tax hikes in duty and VAT through constructive and objective campaigning. Now the immediate focus is on stopping those unnecessary tax hikes based on a good intentioned but flawed 'green' agenda. These include new taxes and bans on drivers entering our major cities and potentially adding more costs on diesel drivers by the Treasury. These are new taxes that will not improve air quality, but simply hit consumers and the economy. There are ways to improve air quality without hitting consumers pockets.